Capital Gains Tax (CGT) is a tax on gains arising on the disposal of assets. A disposal means a transfer of ownership in an asset whether by means of sale, gift, exchange or otherwise and includes a part disposal of an asset. If you have made a gain on the disposal of assets between 1st January and 30th November, you must pay the capital gains tax by 15th December. The rate of tax will be 33%. What are regarded as Assets for Capital Gains Tax purposes? Relief for the cost of the asset and the cost of disposal of the asset. Loss relief – any Capital Gains Tax losses in the year of disposal or unused from previous years. Losses incurred by your Spouse. Principal private residence relief – Sale of your home. Retirement relief on the sale of a Business or for sale of shareholding in family run company – Current limit is €750,000. Relief on the disposal of a business or shares in a family company, to a child – No limit. 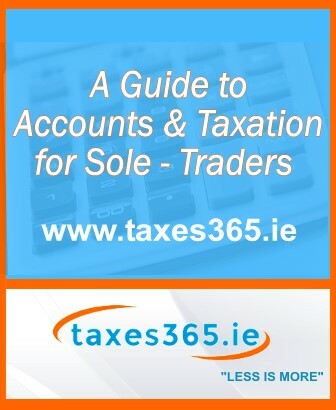 Relief on the transfer of assets from a Sole Trader to a Limited company on incorporation. Relief on transfer of assets between spouses when living together. The above reliefs are available subject to various conditions and professional advice should always be taken.